It’s official. We just had the longest government shutdown in history over absolutely nothing. Democrats have agreed to fund $1.375 billion for 55 miles of physical barrier along the border, which is only a little more than what President Trump would have gotten under a continuing resolution that funded the government at current levels. It’s far less than the $5.7 billion he ­demanded to build 230 miles of barriers that experts and the Department of Homeland Security said they need to properly ­secure the border. Shutting down the government again isn’t an option. Trump’s Democratic opponents aren’t afraid of ­another shutdown. That’s because they know if Trump rejects this deal and closes the government, he would get the blame, and in a few weeks’ time we would end up right back where we are now — with a bad deal. They have zero incentive to give him more money for a border wall. Declaring a national emergency would also be a mistake. Trump could face a rebellion within his own party, and rightly so. An emergency declaration is intended for actual emergencies — such as the 9/11 terrorist attacks or Hurricane Katrina. If Trump declares an emergency to circumvent Congress and build his wall, then a left-wing president could use that precedent one day in the future to declare climate change a national emergency and implement Rep. Alexandria Ocasio-Cortez’s Green New Deal. To win, Trump needs to shift the debate to a place where he has real leverage: using the threat of a sequester, rather than a shutdown, to force the Democrats to give him his border barrier. In 10 months’ time, if Congress fails to act on the wall, then an automatic sequester will kick in that would reduce federal spending in 2020 to levels that Congress and President Barack Obama set in the Budget Control Act of 2011. Congress agreed to lift those spending caps for two years in 2018, increasing both defense and nondefense discretionary spending above sequester levels by $165 billion and $131 billion, respectively. But that deal runs out at the end of the year. If Congress doesn’t lift the caps by ­December, then automatic $55 billion in across-the-board cuts to ­domestic discretionary spending will take place, while ­defense spending will be cut by $71 billion. That looming deadline gives Trump leverage he needs to get his wall. Democrats may not fear another shutdown, but will they really sacrifice $55 billion for domestic priorities next year just to deny Trump a measly $5.7 billion for a physical border barrier? ­That’s unlikely. If anything, Democrats want to use their new House majority to demand significant increases to domestic spending. Denying Trump his wall in December would lead to severe cuts. And Democrats would hardly have grounds on which to complain, since Trump would simply be following the terms of a budget deal that a Democratic-controlled Senate passed and Obama signed into law. Of course, the defense cuts were intended as a deterrent to conservatives, who know they would be potentially disastrous for American national security. But Trump may not care. He wants his wall, and he may be willing to swallow temporary defense cuts to inflict sufficient pain on the Democrats to get it. Trump can’t win a shutdown fight today. But he can win a sequester fight at the end of the year. 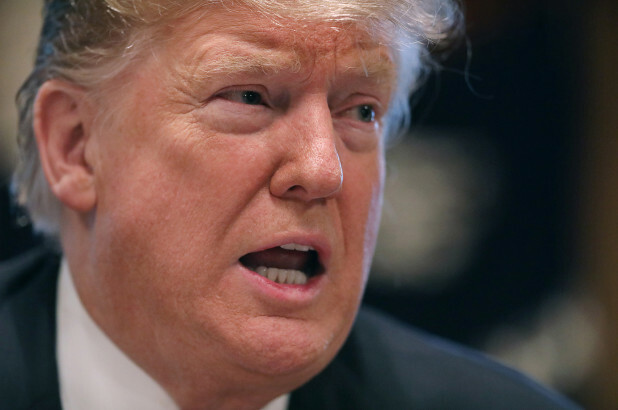 He should take the deal on the table today, resist the temptation to invoke a national emergency and then get the rest of his wall money in December when he ­finally has the upper hand.